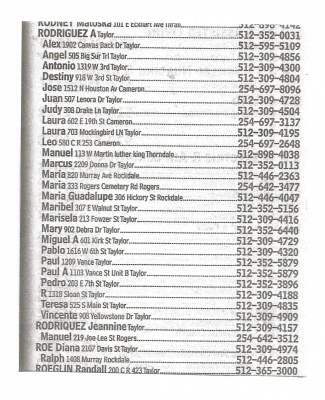 Looking for a funerals homes name. Please we would appreciate any or all information you can provide me with. and others interested in MC history. Cameron, Texas. 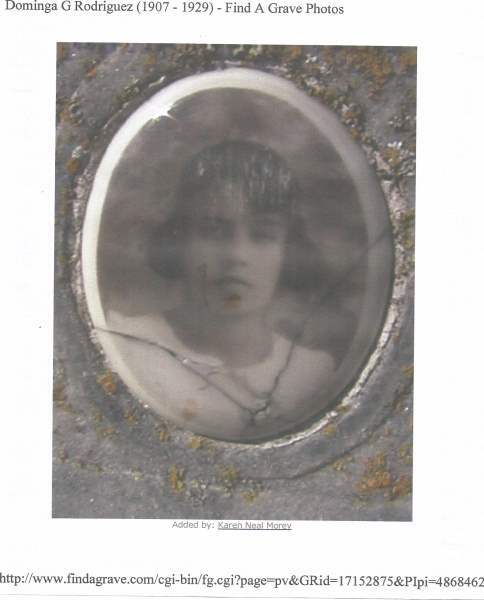 I referenced Ms. Norinne Holman's 170 years of Cemetery Records in Milam County, Texas, Vol. photo taken by the courtesy of Karen Neal Morey certainly compliments her beauty. See attachment # 2. 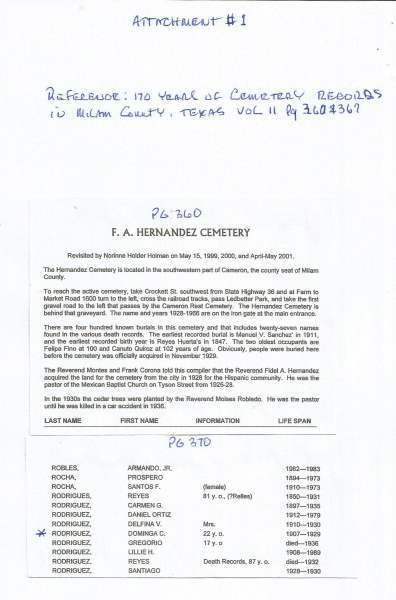 Possibly some of the other Rodriguez's listed in attachment #1 may be related as well?. 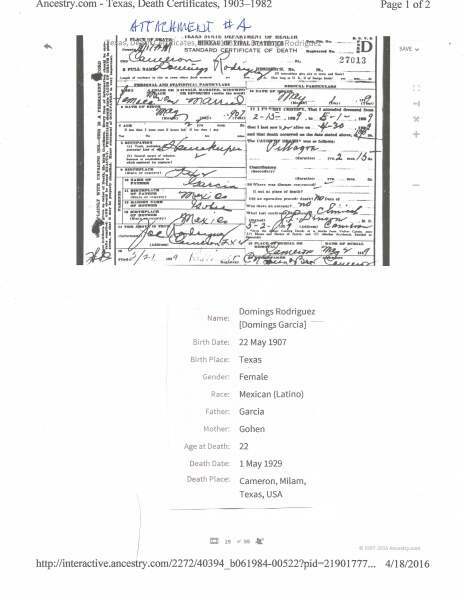 Attachment #4 is the Death Certificate that I was able to reference and noted that she was married. I was unable to zoom in enough on the headstone to confirm the exact day and month of birth and death. Lucy Hill Patterson Library in Rockdale would have to be researched. I sincerely hope that the above information has assisted you.